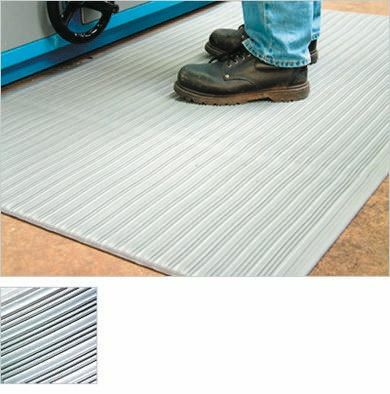 RS Components offers a large collection of floor matting equipment. 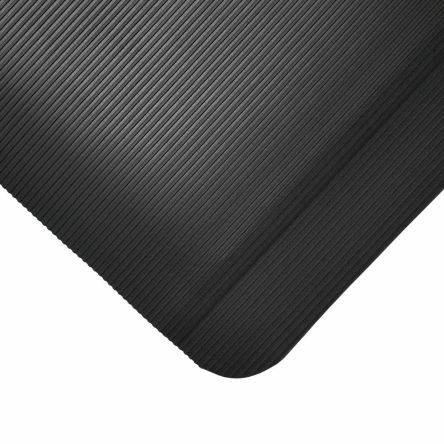 From entrance mats to rubber matting, the RS range offers non-slip floor coverings, built with durable materials and adhesives - ideal for making your workplace compliant with today's health and safety requirements. Manufactured from 100% closed cell vinyl foamProvides comfortable underfoot cushioningReduces pressure pain caused by prolonged standingProtects from the effects of a hard, cold concrete floorRibbed surface reduces the risk of slippingColour: GreyProduct height: 9mm.